The Westwood home at 10386 Mississippi Ave., LA CA 90025 lasted 19 days on the market before accepting an offer on 9/16/11. The home was listed on 8/28/11 for $2,050,000 and did not have any price reductions during the listing term. This contemporary architectural style home was custom built in 2011 and is in move-in type condition. 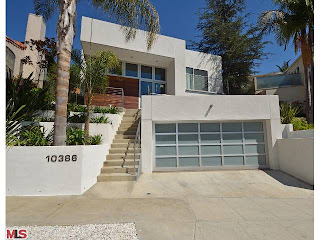 10386 Mississippi Ave closed on 11/8/11 for $1,925,000 |$713 $/sf|. According to the MLS, the home is a 4 bedroom / 3.5 bath, 2,700 sf of living space on a 8,102 sf lot.